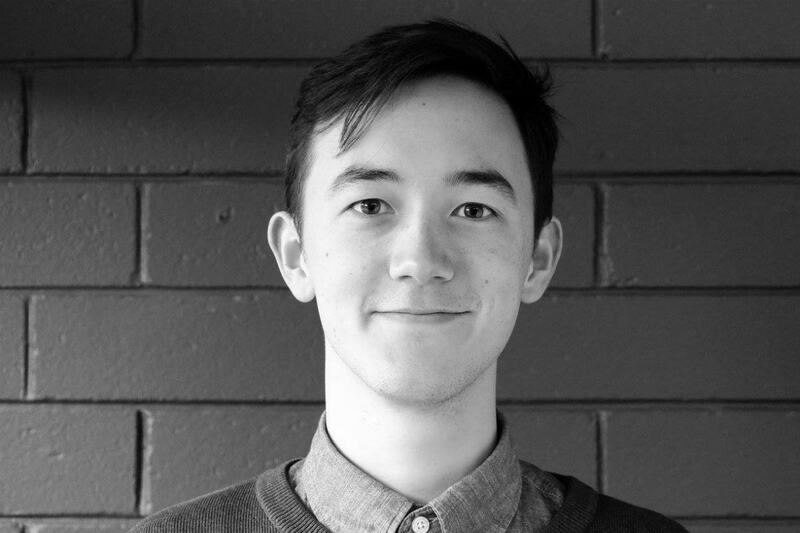 Kim Ho is a Melbourne-based playwright, actor, and the 2017 recipient of the prestigious Patrick White Playwrights’ Award for his play Mirror’s Edge, which explores the interplay of Anglo-European, Chinese, and Indigenous cultures in Australia across three centuries. Here, he talks about the catalyst for writing the play, and his commitment to addressing cross-cultural issues – even if they’re uncomfortable. It all started when I heard about this real life story of Chinese tourists accidentally reviving a northwest Victorian town called Sea Lake. Just seven kilometres north of Sea Lake lies Lake Tyrrell, a large salt pan filled with water. Because of the still, shallow water, when you walk out into it, it looks like you’re walking on the sky or walking on the stars if it’s at night. It’s completely useless from an agricultural perspective – but absolutely beautiful from a Chinese perspective. These kinds of landscapes don’t exist anywhere else in the world except Bolivia. Like many regional towns, Sea Lake had been slowly dying, but the attraction of the salt lake for tourists was an unexpected lifeline. When I heard this story, I was personally intrigued, because the interplay between Anglo-European and Chinese cultures mirrors my own heritage. My mother’s Caucasian and my father’s Chinese-Malaysian. But when I went up to the town to start researching it, I realised there was another angle that I hadn’t been aware of – that of the original custodians of the area, the Boorong people. The Boorong people were amazing astronomers and they used the lake to teach their astronomical law. They had mythological stories of massive emus in the sky, and the Southern Cross constellation was their origin myth of the possum – but those same stars also corresponded to where to get food at a particular time of year, or when the Mallee fowls or the emus were laying their eggs. There was a real sense of culture and science being inseparable. Rebecca Poynton, Antonia Yip Siew Pin, Rachel Shrives, Lucy Holz, Martin Hoggart, Eleanor Young, and Yufan Jo Chen in Mirror’s Edge, by Kim Ho. Photo by Bede McKenna. I contacted the council and was very fortunate to be able to talk to an elder from the neighbouring Wudjubalug clan, and I consulted him on what stories were and weren’t appropriate for me to tell. As a non-Indigenous person, that was my biggest concern in writing Mirror’s Edge – but I think the question of who’s allowed to tell which stories and my anxiety around that is folded into the play. One of the things I didn’t want to shy away from was people’s proclivity for Othering, so I was really surprised at just how welcoming the people in Sea Lake were. They seemed really warm-hearted and beautiful, every single one that I met. I came in with the preconceived notion that they’d be racist, and that was my own ignorance. But country towns can be like that, and I did feel that there was still work to do in terms of cultural education. The first time Mirror’s Edge came to life, rather than just being on the page, was when an excerpt of it was presented as part of the Melbourne Theatre Company’s Cybec Electric rehearsed readings in 2017. At this stage, I was starting to incorporate the Boorong element into the work, but for casting purposes – and because it was an excerpt – it focused just on Anglo-Chinese interplay. It was really interesting to put it in front of an audience and have it supported for the first time by a major theatre company. It was also part of Asia TOPA, so I was constantly around Asian artists and it felt very reassuring and inspiring to feel a sense that we can and are moving forward. 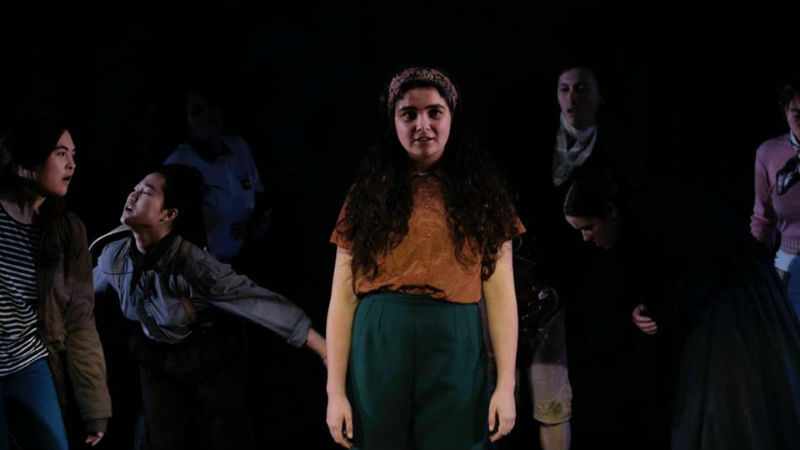 The whole play was then produced by the University of Melbourne’s Union House Theatre last year. We were very lucky to have a long rehearsal period, so I was able to redraft the play four or five times during that time in development with the actors. I was so spoiled in having so much time, and in being able to work with Artistic Director Petra Kalive and dramaturg Jean Tong. 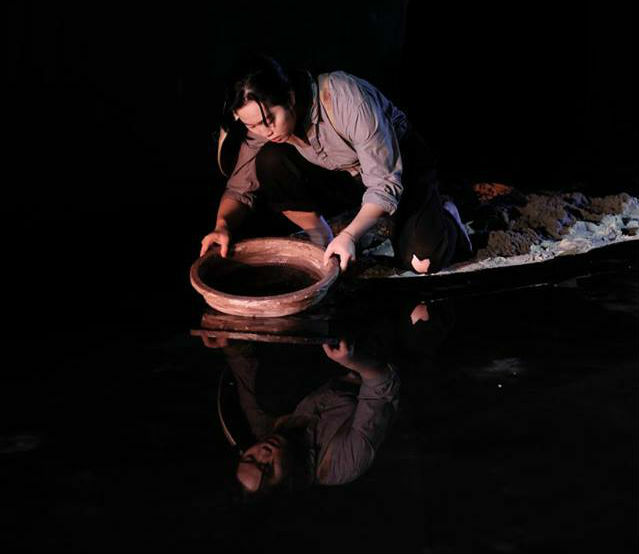 Antonia Yip Siew Pin as gold panner Lao Ghit in Mirror’s Edge, presented by the Union House Theatre. Photo by Bede McKenna. Petra cast based on ethnicities but didn’t assign roles initially, and then she cast it as we went through the process. This really gave us fluidity in terms of gender – the main character, Kai, used to be male and became a female, and an 1850s heterosexual love story became a queer love story. I also wanted to experiment with translingualism, so I collaborated with translators who translated some of the text into Mandarin and Chinese and we’d figure out how it felt to have sections of the work in a language without any kind of translation or surtitles for the audience. There’s a passage where a Hong Kong gold panner describes her backstory – how she came to be in Victoria. It’s a really moving story, but it’s all in Chinese. So people are forced to invest imaginatively in what she might be saying, without actually understanding the words. I was really interested in making people who have been in Australia all their lives suddenly feel foreign – making them feel that experience of not fitting in. Saying, “This work is not always made for you – we’re not going to give you an easy ride the entire time”. 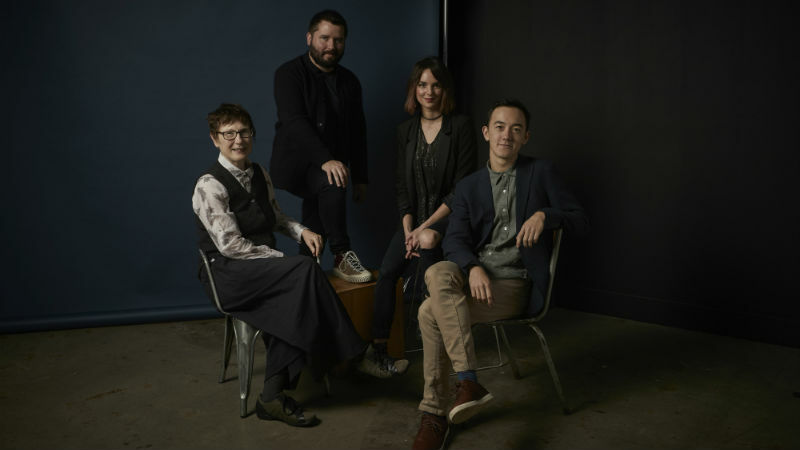 Patrick White Playwrights’ Fellow Sue Smith, Sydney Theatre Company Artistic Director Kip Williams, Sydney Theatre Company Literary Manager Polly Rowe, and Patrick White Playwrights’ Award recipient Kim Ho. Photo by Pedro Greig. On a personal level, it’s of course incredibly humbling and a big honour to receive the Patrick White Playwrights’ Award, but even more than that, I’m just thrilled to see major theatre companies like the Sydney Theatre Company supporting writing that puts diversity and cross-cultural interaction front and centre. Kim Ho is a Melbourne-based writer and actor whose short film The Language of Love has screened at over 30 film festivals worldwide. He composes film music, plays the clarinet, and is currently working on a play about the 1930s Lasseter’s Reef hoax as a VCA Master of Writing for Performance student. Banner image: Playwright Kim Ho. Photo by Bede McKenna. Previous Previous post: The Crucible: outworn or reborn?